According to the BBC, "the Official UK Charts Company said it was 'bound to' include streaming and subscription services at some point, but not for at least another year." Things start to get complicated because, unlike the individual sales based format of previous charts, the new one would have to take into consideration blanket subscriptions and the free streaming models (served with advertisements) offered by the likes of Spotify. "Knowing what a stream is worth compared to a purchase of a download, for instance, is very difficult to identify at the moment," said Official Charts Company managing director Martin Talbot. 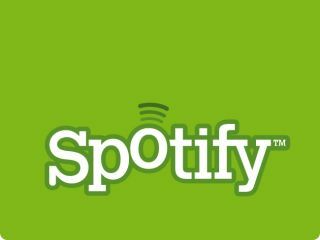 Spotify have followed up this revelation with its own set of bragging rights: as of this Friday (26 June) Spotify will be the only digital music service to offer streams at CD quality (320kb per second). Unfortunately for those using the ads-based freebie mentioned earlier, you'll have to live with the 160kbps currently on offer. It's for 'premium members' only. Natch.